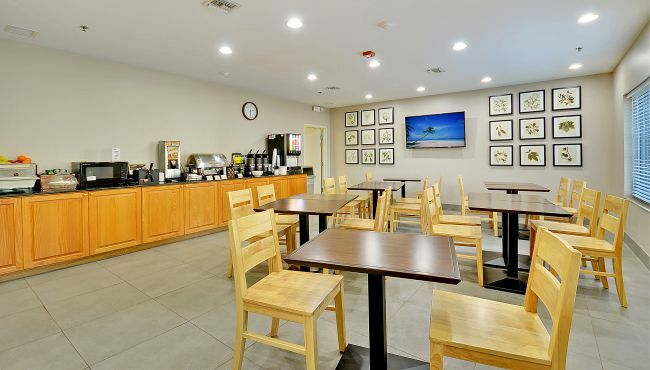 Let the Country Inn & Suites, Charleston North help start your day off right with a complimentary, hot breakfast. Enjoy a selection of breakfast favorites, including Belgian waffles, sausage, biscuits, cereal and freshly brewed coffee. When it's time for lunch or dinner, check out nearby restaurants like The Noisy Oyster or Big Billy’s Burger Joint. Sat-Sun/Holidays, 7:00 a.m. - 10:00 a.m.